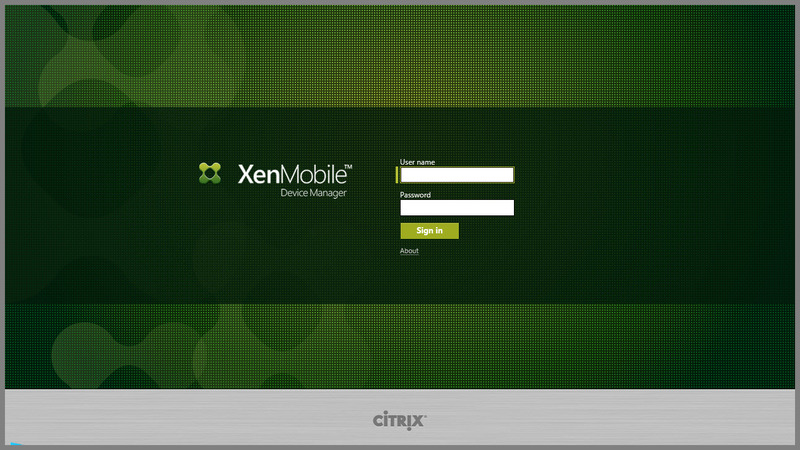 How To: #XenMobile #MDM 8.5 Deployment Part 3: Policies – #Citrix | The IT Melting Pot! And here U have part 3 of Adams great blog post series! 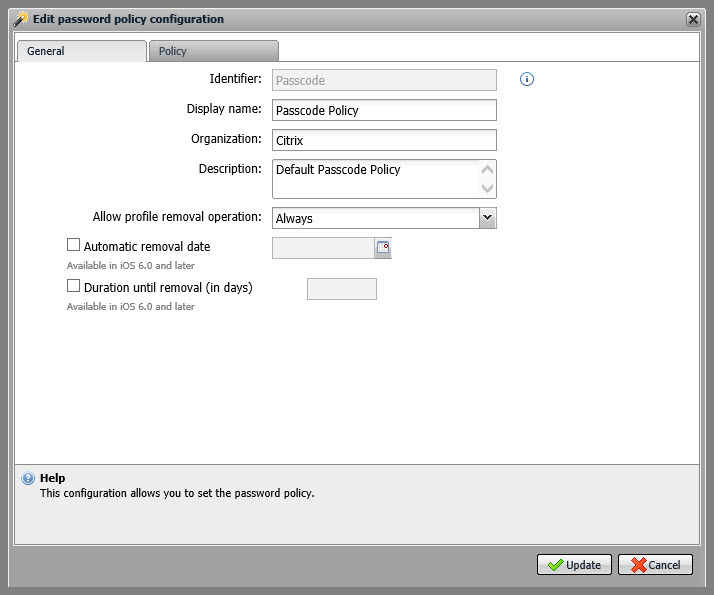 In this 3rd part of my 7 part series on XenMobile MDM 8.5 we will focus on policies. Policies within MDM allow you to control a multitude of features on your end users mobile devices, including: WiFi, Email, VPN, Location Services, most all functionality of the device (camera, FaceTime, etc), AppStore access, etc. 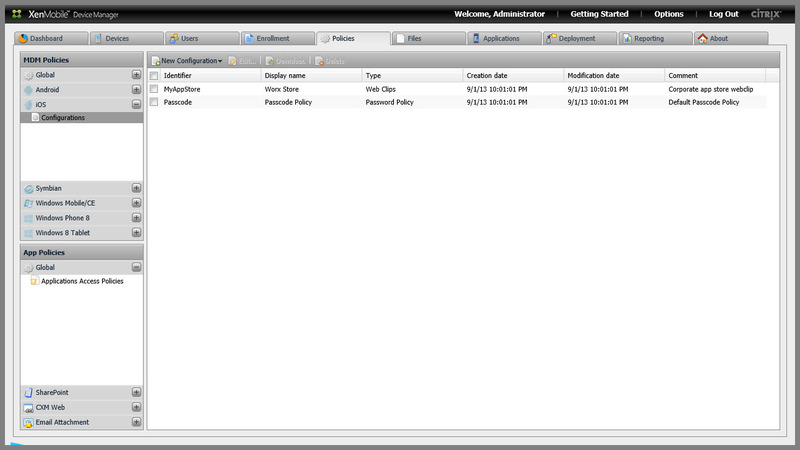 Most configuration variations you do to control and limit/restrict/configure your end users devices will be done from this tab. This tab is also the location where we can create some automated actions that include notifying your users when they have fallen out of compliance. In this article I was to cover a “base” set of policy configurations that will give you a feel of how the policies work in general. By no means does this cover the breadth of what you can do with MDM, but it at least gives you a glimpse. Later in this series we will build upon the policies by adding applications to push to our users and ultimately roll it all together in a Deployment. For the purposes of this article (and the fact I’m a die hard Apple fan) the only devices I own are Apple..so this will all be iOS based. If your Android, first off I’m sorry, and second off it should still be similar . Step 1. Navigate to the web console (usually http/s://mobile.yourdomain.com/zdm and login. Step 3. Leave these settings as default, click on the “Policy” tab. Step 4. Modify to suit your requirements. Here I am requiring a passcode, allowing simple passwords, minimum length of at least 4, and auto-locking the device after 2 minutes of inactivity. When….